The Advance Tabco SHD drawers include many great features to keep your work station organized. Noise-reducing gliders help limit unnecessary distractions in the kitchen, and the self-closing design helps simplify your tasks, especially when hands might be full. These drawers include a removable insert that's easy to clean and NSF listed. They're stackable to maximize storage while still leaving a small footprint, and the 150 lb. 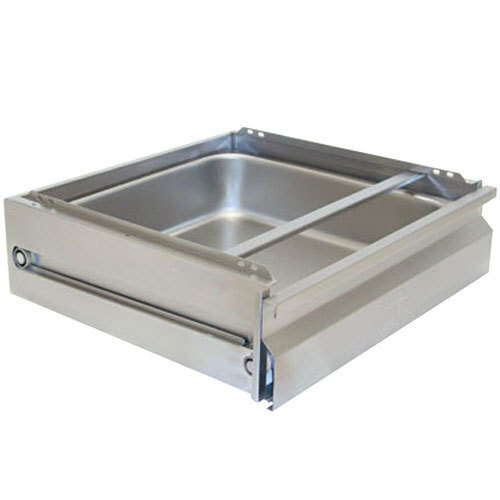 capacity allows you to conveniently store any supplies you might need during food preparation. These drawers glide with ease and have integrally welded drawer sides which help prevent bending, snapping, or breaking. Additionally, a safety stop tab prevents the drawer from being pulled all the way out and breaking. The welded brackets are standard for all Advance Tabco work tables, and the #TA-90 bracket allows the drawers to be mounted on tables that you might already have on location. This informative video provides you with an overview of the design features and benefits of Advance Tabco SHD drawers! 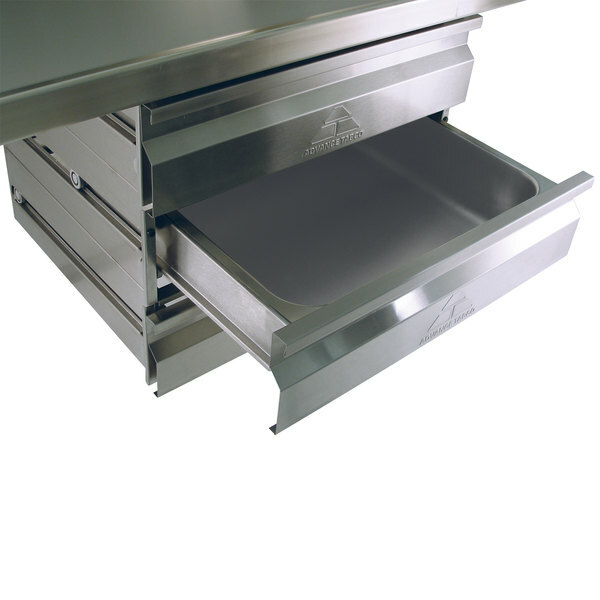 The Advance Tabco SHD-2020 stainless steel drawer unit has a 24 5/8" front plate and comes with a removable, stainless steel 20" x 20" x 5" inset. The SHD-2020 also has revolutionary, integral door slides, a self-closing mechanism for quieter action, and "safety-stops" to ensure that the drawer isn't pulled out too far. 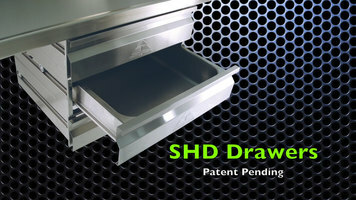 The SHD-2020 can be stacked to create tier drawers.